Green tea! The beautifully colored, amazingly flavored and incredibly delicious concoction, which you can’t go a day without consuming. Oh, and it is also the healthiest among all other teas available! Or, is it? Really? Keep the exceptionally high antioxidant content aside, green tea comes with a major drawback too. We are talking about the caffeine present in it. An 8 oz. cup of green tea contains 8 to 30 mg. of caffeine. Though the amount is quite lower than many of its’ other counterparts but unfortunately, you can’t ignore it. The first and foremost step for curtailing the caffeine content of your green tea should be to know about it. We all have a misconception that ‘tea flush’ or the fresh terminal bud and the two leaves adjoining it together form the safest combination for an invigorating beverage. Well, this is definitely of the highest quality and makes the sweetest tea. But being the youngest part of the tree, it also contains the largest amount of caffeine. So, avoid new tea leaves. 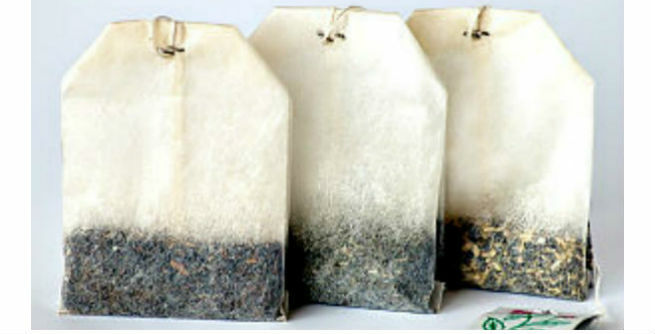 Green teabags might look quite tempting, especially when we seek a quick, easy and convenient procedure for brewing. But it has been found that the amount of caffeine present in loose green tea leaves is considerably greater than that present in teabags. In addition, green teabags always loose the actual quality and flavor of the tea, which is not at all desired by us. Many of us believe that the lighter the color of the green tea is, the lesser is the caffeine content. But the truth is that ‘color’ is not at all a reliable indicator in this purpose. Even the most transparent or beautifully green colored tea can contain higher level of caffeine than a dark tea concoction. By choosing the best quality green tea, you actually end up buying the most caffeinated version of the beverage as all high grade teas are made of tea flush. But they also contain lots of theanine (an amino acid that contributes to the remarkable freshness and sweetness of green tea) and catechins (a pool of antioxidant compounds), which work on the caffeine and reduce its’ effects significantly. According to experts, a person should not take more than 300 mg. caffeine a day. But when it comes to lessening the green tea caffeine, you must get accustomed to your own tolerance level first. Unlike coffee, black tea and other similar stimulants, green tea has quite low caffeine content. 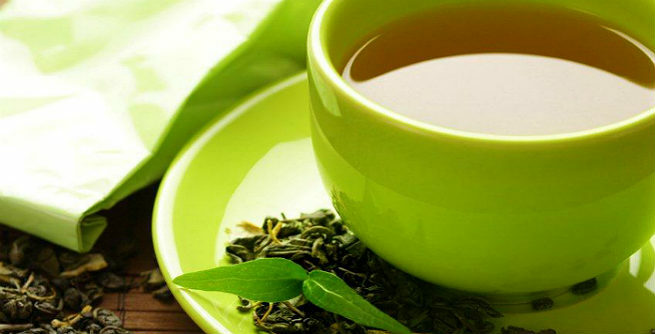 Moreover, the green tea caffeine works on our body in a completely different way. Being full of the ‘caffeine antagonist’ theanine (almost 60%), it counteracts the effects of caffeine and soothes our brain cells. Drinking 2 o 3 cups of green tea a day means 90 to 105 mg. of caffeine intake. If it doesn’t bother you with headache and nervousness, just go for it. For optimum safety, you can also start with half or a single cup a day and go slow. Never ever wait for your green tea to be cooled down. 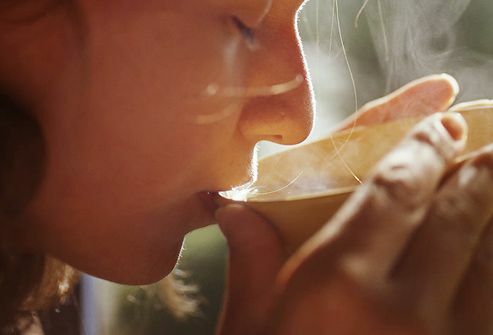 It is the time of brewing the tea leaves, when the molecules of theanine and catechins get combined with caffeine in the presence of boiling water, which eventually diminishes the effects of the later one. Once the cup of tea cools off, the process gets reversed and the catechins start to break down. As a result, more caffeine is released into the concoction. While most of the tea compounds takes some time to get processed during brewing, caffeine dissolves in water very quickly. So, it is always advisable that you steep the tea leaves for 3-5 minutes at first and throw the infusion away. This very first infusion of green tea soaks up almost 50% to 70% caffeine depending upon the length of time of soaking. However, this process may make you compromise with the flavor and aroma of your tea. But it will definitely protect you from the side effect of caffeine. If you find yourself intolerant of caffeine, try reducing the strength of your green tea and brew it only half strength. Of course, you need loose green tea leaves instead of teabags for this. While most of us brew 1-2 teaspoons of tea leaves for a cup, you just need to use (1/2) or 1 teaspoon. Once your body gets adjusted to it, increase the strength gradually. If you are still doubtful about the caffeine content of your green tea or just want to go for the safest option, check the label of the product while purchasing. There are lots of decaffeinated green teas available in the market. Or you may at least go for the teas that are very low in caffeine naturally.